Meet in the charming village square of Gigondas. A hidden and little-known path takes yus up through the brush and evergreen oak and to the very ridge of one of the cliffs, from where the entire Rhône valley and its sea of vines is sprawled in front of us, with the Cévennes mountains as a backdrop: one of the best vantage points in all of Provence. After a leisurely Provençal picnic we return to Gigondas via the farming tracks and then enjoy a wine-tasting in the center of Gigondas (depending on opening days). 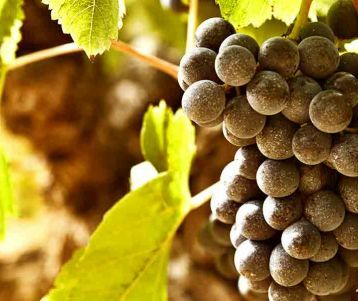 Meet in the charming village square of Gigondas, world-renowned for its red wines. We’ll explore the picturesque village streets before heading into the hills, laden with gnarled vines set on vertiginous terraces. 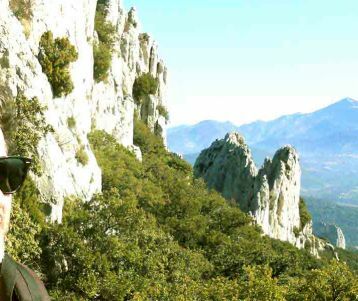 Set behind the village are the Dentelles de Montmirail: a mountain range composed of three sets of limestone cliffs that jut vertically from the chalky soils, creating a veritable playground of some of the best walking and hiking in Provence. Your expert guide will lead you as you as you approach the foot of one of the imposing cliffs. A hidden and little-known path takes you up through the brush and evergreen oak and to the very ridge of one of the cliffs, from where the entire Rhône valley and its sea of vines is sprawled in front of you, with the Cévennes mountains as a backdrop: one of the best vantage points in all of Provence. After a leisurely Provençal picnic we return to Gigondas via the farming tracks that run in between the picturesque rows of Grenache and Syrah grapes. 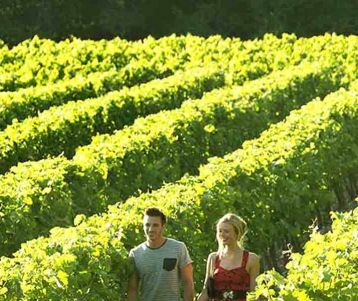 We’ll then enjoy a wine-tasting in the center of Gigondas (depending on opening days) before parting ways with your guide. The walk is 12 km long in total, and you can expect up to 4 hours of walking time along the trails. The paths are well-worn but rocky: you can choose to wear walking boots but trail runners are sufficient if you're used to walking on uneven surfaces. 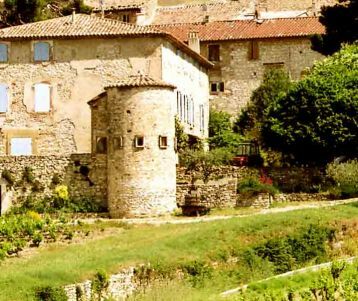 You can expect a sustained climb from teh village of Gigondas and up to the Dentelles ridges (up to two hours of climbing). The path does not approach the cliff edge. There are a few steps along the ridges where you may need to use your hands for balance (light scrambling). DO NOT FORGET TO BRING ..